Some four and a half years ago in October 2014, while serving as Canada’s Ambassador for Religious Freedom, I travelled to Ukraine where I had the occasion to meet with a most remarkable man. 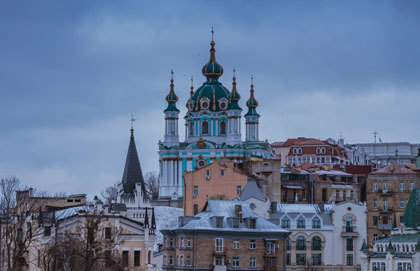 Myroslav Marynovych is Vice-Rector of the Ukrainian Catholic University in Lviv, the only Catholic institution of higher learning in the former Soviet Union. A devout Ukrainian Greek-Catholic, a noted human rights defender, and a survivor of seven years of hard labour in the Gulag for anti-Soviet activities in the 1970s, he ranks in the 20th century pantheon of confessors of human dignity with the likes of Václav Havel and Lech Wałęsa. Myroslav offered the following wise reflection. He began by saying how much he admired Western pluralism, traditional Western pluralism in any case. For him it was a system in which many different and competing voices sought to explore and encounter the truth and in so doing guide society towards truth. This had been a very different approach to what existed under Soviet Communism. He went on to lament that this was no longer the case. He argued that while you now continued to have in Western democracies many diverse and competing voices, they no longer sought to understand and pursue the truth. They relativized it and asserted individual and subjective "truths." This vignette came to mind last week during the continually unveiling saga around SNC-Lavalin and involving this country’s most senior political leaders and public servants. To be sure it is a very different case from Russian-occupied Ukraine, but the fundamental issue is the same: what is truth? For two weeks the Prime Minister, the Clerk of the Privy Council, and other senior officials have maintained publicly, often with the most obscurantist language, that nothing untoward took place, that no attempts to improperly influence the decisions of former Attorney-General Jody Wilson-Raybould were made. These glimpses are hopeful signs in that they reveal that each of us as human beings in our deepest consciences, beneath the layers of deception and little lies we often construct is an innate knowledge of right and wrong. In the face of growing public and media pressure, the government waived the solicitor-client privilege and Cabinet confidence in place regarding Ms. Wilson-Raybould’s interactions with those in the Prime Minister’s Office and others so that she could appear and testify before the Commons Justice Committee. She wanted to tell “her truth.” This presumed that somehow there was another truth, or truths, floating about that needed to be contradicted. Was this the truth of the Prime Minister, the truth of the Clerk, the truth of the PM’s Principal Secretary, or the truth of the entire government? What is significant in all of this is the decided absence of universal and objective truth: the truth. In the Cloudcuckooland world of competing "truths" the most compelling subjective truth, which is an oxymoron and nonsensical to begin with, is often determined by who has the most effective argument, who is seen to wield the most influence with the public, who does the media like more, or who can evince the greatest depth of feeling and trigger our emotions so that we may come to embrace their ‘truth.’ As the competing claims to have the full truth pile on each other we get absorbed into a maelstrom of obfuscation, manipulation, and seemingly unquenchable doubt about what is true and what is false, what is right and what is wrong. This is no way to live. This is no way to engage in public debate. And, this is no way to run a country or build a common life together as human persons. The common moral truths are no less plain to us today than they ever were. Our problem is not that there isn’t a common moral ground, but that we would rather stand somewhere else. We are not in Dante’s inferno, where even the sinners acknowledge the law which they have violated. We are in some other hell. The denizens of our hell say that they don’t know the law -or that there is no law- or that each makes the law for himself. And they all know better.